It's 2025, in Newfoundland, Canada. In the small northern town of St. Anthony, a local family is ambushed by a polar bear just beyond their front door. On Fogo Island to the east, a tourist and a resident are killed in separate early morning attacks in two remote outports. These incidents are the first known polar bear fatalities in Newfoundland's history, despite regular late spring visits from the bears. But these people haven't just been killed, they've been eaten. As the attacks multiply, it's clear that people are not safe even in their own homes. Totally unprepared for the onslaught, local residents, Mounties, and biologists struggle with a disturbing new reality: they have a huge polar bear problem on their hands, and if they don't find a solution quickly, dozens more people will die gruesome deaths, and hundreds more polar bears will be shot. A Newfoundland seal biologist gets help from a transplanted Alaskan carnivore specialist as they team up with officers from the Royal Canadian Mounted Police (Mounties) but stopping the carnage and relentless terror will be the biggest challenge they've ever faced. Will this turn out to be the most horrifying disaster in Newfoundland's long history? Being from a storytelling family pays off: if you hear stories often enough, you find you can tell them too. Susan J. Crockford is a professional zoologist who has studied polar bear ecology and evolution for more than 20 years and has a special interest in the history of human-polar bear interactions. She has a Ph.D. and writes a blog called PolarBearScience. 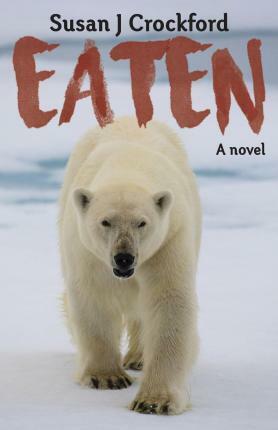 After years of writing scientific papers and books and blogging about polar bears for non-scientists, Susan has written her first novel-for readers who prefer their science "lite" and love a good story.